While Portugal’s second city, Porto, is the traditional home of port wine, there’s no need to travel north to taste some of the best the country has to offer. Whether you’re after a 40-year-old tawny, a late bottled vintage ruby, a white port, and tonic, or all of the above, there are several places in Lisbon where visitors and locals alike can get their own taste of the Douro Valley. Here are the five best spots in Lisbon to try port. Associated with the official Portuguese port wine agency, Solar do Vinho do Porto is found opposite one of Lisbon’s majestic viewpoints, inside the Ludovic Palace at the top of a steep walk or funicular ride in Bairro Alto. Resembling an old-fashioned smoking room, the plush, quiet surroundings are the perfect spot to spend an hour or two in the company of knowledgeable waiters, and several glasses of port from their huge range. Prices start at just a couple of euros, although you’ll pay quite a bit more if you start exploring some of the vintage varieties. While you can also buy a limited range of snack food, the focus is fully on the port, so book a nearby dinner spot to head to afterward. Expect professional rather than warm service here. Also in the Bairro Alto neighborhood, Grapes & Bites lies just a little further down the hill. It’s both a hostel and, more interestingly for port lovers, a wine bar and restaurant. Some of the local tour companies run their port tastings here, so with a wide selection and enthusiastic staff, it’s the perfect spot to enjoy a delicious tapas-style meal, paired with a glass or two of an appropriate fortified wine. Grape and Bites often has live music in the evenings, making it a fun, boisterous environment to spend a couple of hours. Take note if you’re planning on staying the night here, though: noise from the restaurant and surrounding streets ​mean you shouldn’t expect to turn in early! Of all the places listed here, Enoteca Chafariz do Vinho has undoubtedly the most interesting location. Found at the end of a small road down some stairs in the Principe Real neighborhood, it’s set into part of the old aqueduct that used to supply much of Lisbon’s drinking water. Open for dinner only, it’s a small venue, so book ahead (especially at weekends). It’s well worth the effort, with a wide variety of tapas-style dishes and wines available by the glass. For port lovers, though, the highlights are the “100-year” tasting, offering barrel-aged 10, 20, 30, and 40-year-old ports, and the “radical degustation menu” that pairs four dishes with ports and Medeira wines. If you’re after a more typical tasting experience, look no further than Lisbon Winery in Bairro Alto. Tastings can be booked online, are offered in English, and are paired with local charcuterie, cheeses, and jams. You have the choice of two tastings: ‘premium’ and ‘deluxe’. Both include five ports and various artisanal products, with the more-expensive deluxe tasting consisting of the best ports in stock, including a vintage bottle opened by the traditional method of heating the stem, rather than a corkscrew. If you’re attending solo or as a pair, that tasting is held in the company’s 16th-century cistern — a nice touch. You’ll pay 65 euros for the standard tasting, and 150 euros for the deluxe. Either way, expect to spend around two hours learning about and tasting a range of delicious ports. 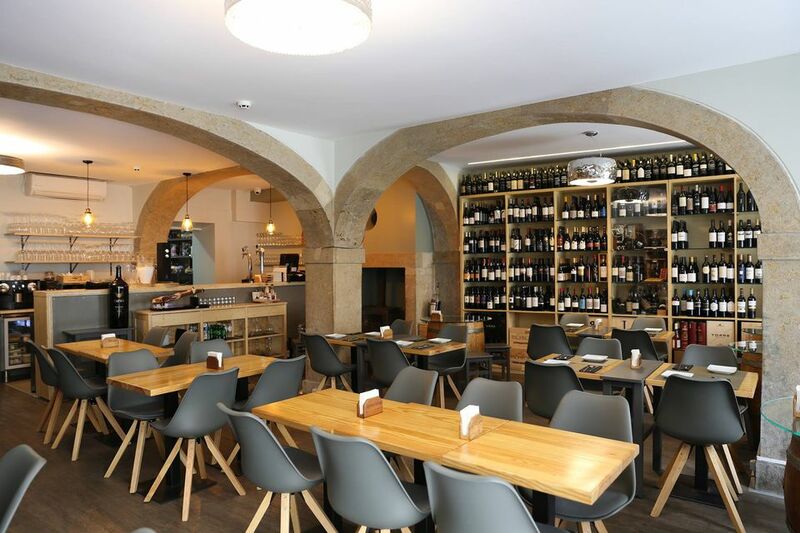 If you’re staying in the Alfama neighborhood, check out Winebar do Castelo — it’s easy to find, at the base of the castle that dominates the downtown landscape. This dedicated wine bar is a delight, with hundreds of Portuguese varieties on offer, and the staff ​are more than happy to explain and recommend ports by the glass to match your preferences. Meat and cheese boards are available if you’re peckish, or you can just enjoy the ports as they are. You may not enter Winebar do Castelo as a port expert, but you’ll be a lot closer to it by the time you walk a little unsteadily back out the door! Get more for your Vacation Dollar: Visit Lisbon!